I have been here in the good ol’ Midwest for almost a month now where there has been plenty of time to miss home and ponder the things I’d like to finish when I get back. 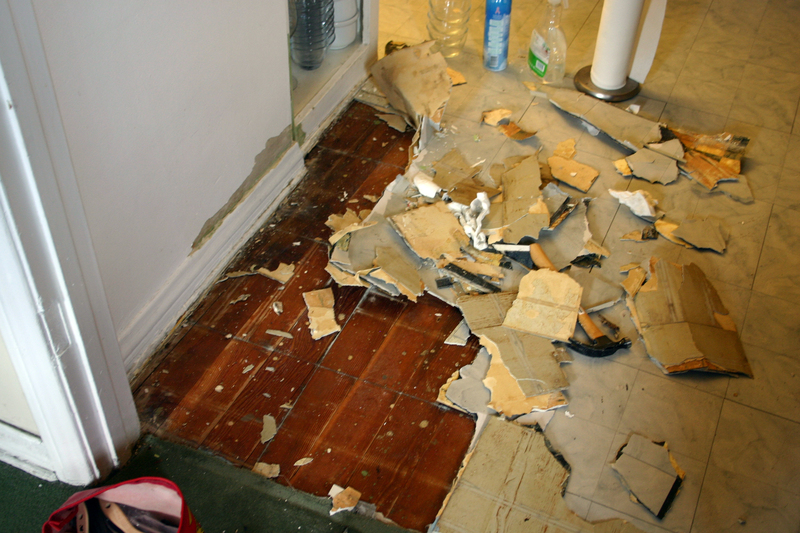 The Bathroom: Our bathroom is so old that it was literally falling apart. 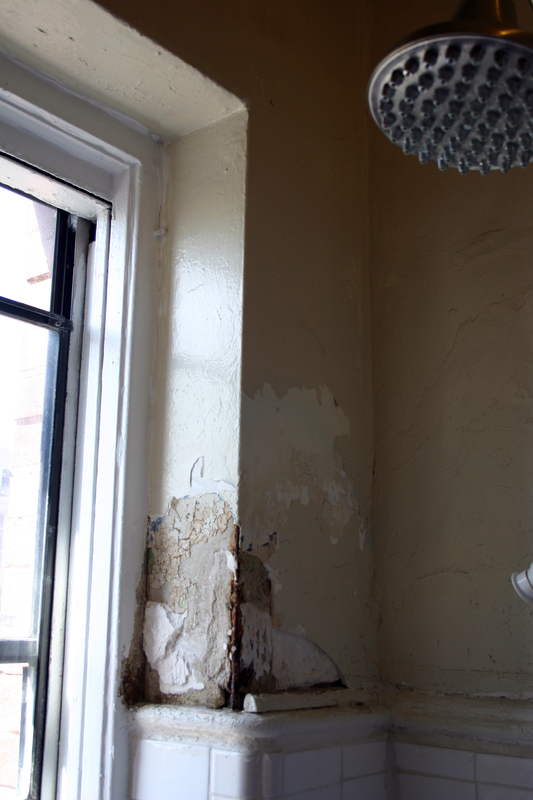 The ceiling sagged, there were huge cracks in the wall and the drywall in the shower crumbled. The Kitchen Floor: While Husfriend was away last year on what we’re now calling his walkabout spending the winter alone in the snowy Midwest, I had the brilliant idea to spruce up the kitchen floor on the same day I was supposed to pick him up from the airport. 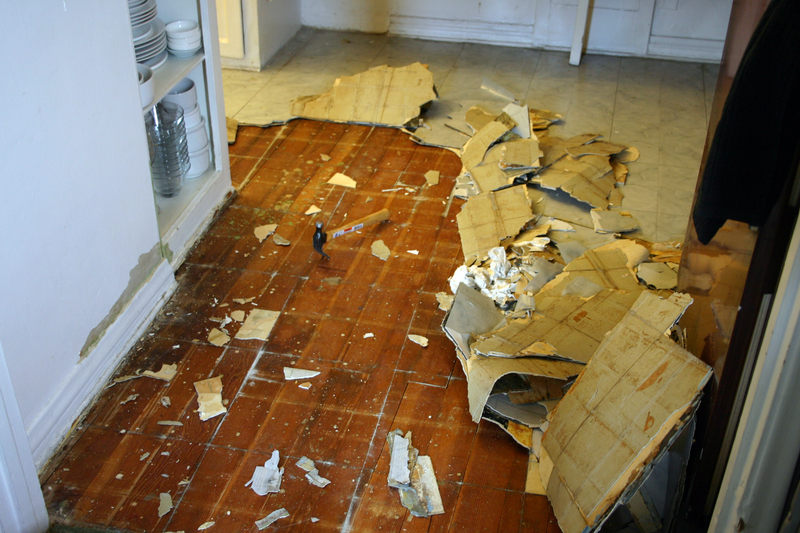 It started innocently enough with tearing up a small corner of linoleum tile that had started to come up. 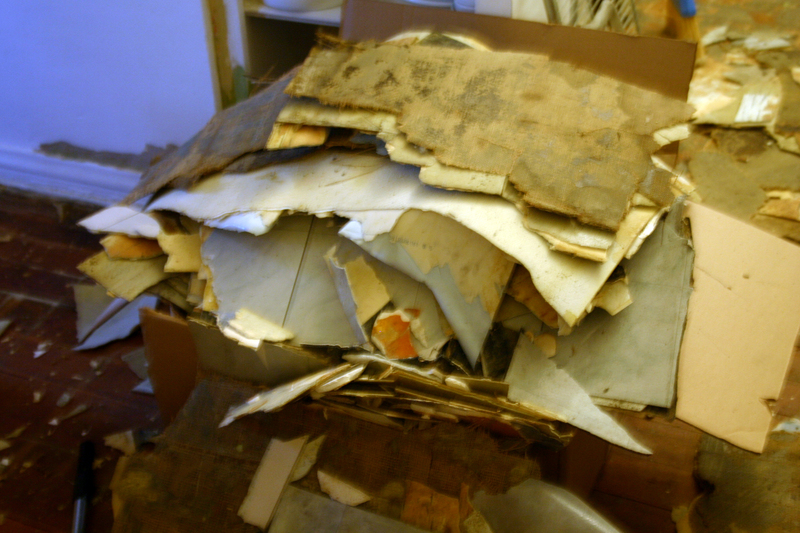 Curiosity got the best of me and next thing I knew, I was moving appliances and was buried in easily several hundred pounds of nearly 100-year-old flooring. 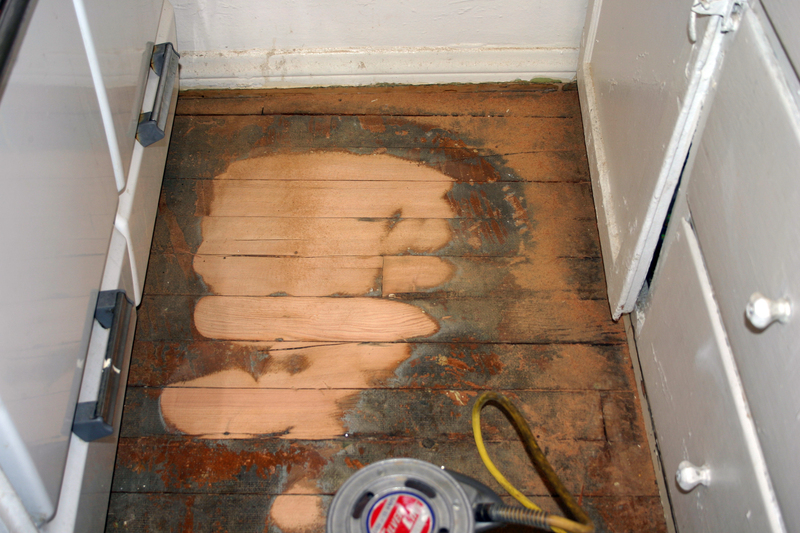 There was gray linoleum, commercial flooring, black and white checkered tiles, and lots of crud holding it all together atop some pretty nice hardwoods that was covered in hardened glue. It remained that way for several weeks while I recovered from all the lonesome heavy lifting. I guess when you’re running off of DIY adrenaline, you don’t realize the toll that schlepping 3-4 hundred pounds of flooring will do to your body. I finally gave in and rented a commercial sander. “Gave in” simply because I figured I could purchase a hand sander and do the whole thing myself. Given my dangling DIY track record, Husfriend wouldn’t allow it. 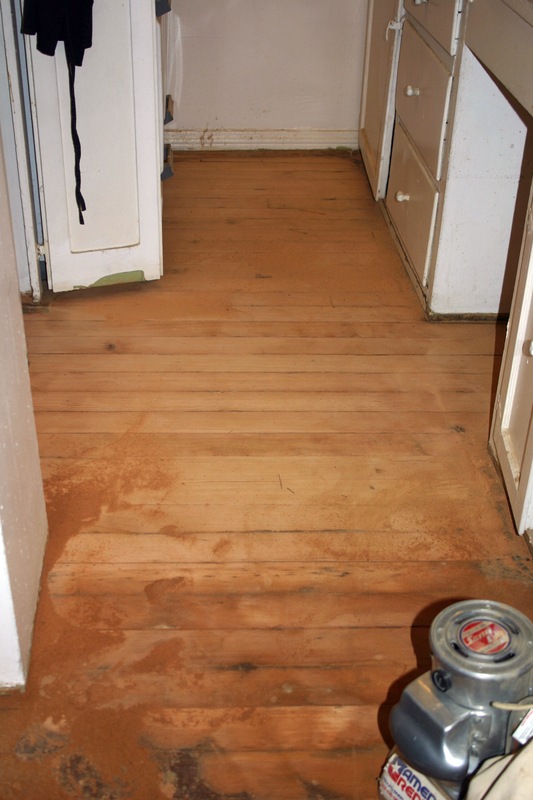 The commercial sander was no walk in the park either. Imagine squatting with a 40-lb electrical baby between your legs that you have to keep from cutting you and from touching the floor too much so as to not grind a big hole into it. Fun times. Being the Frugal Fran that I am, I figured I could get it done in one Friday afternoon and not have to pay for additional rental days. Six hours later, I had to call it a day. I finished the next day but ended up having to keep it until Monday when the shop opened up again. Damn. 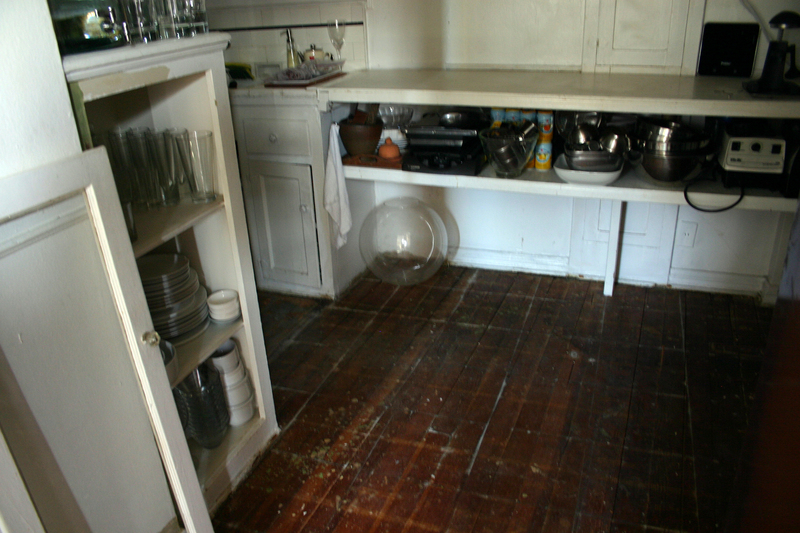 The Laundry Room: We scored an amazing deal from one of my favorite stores – Craigslist. :) We got a full-size LG washer and dryer in one for 75% off retail delivered right to our door. Gotta love that Craig. Now, Walter the Washer needs a home. So far, he’s been crashing in the kitchen. Husfriend doesn’t mind, but I do. Walter’s nice but too big for such a small space. Most one-bedroom apartments don’t come with their own laundry room so Walter’s moving into the front hallway walk-in closet. He’s ventless and can’t see so the closet shouldn’t be a problem. However, we’ve got two slight issues – Walter’s just a little too fat for the entrance and there’s no water source. When I get home, I’m going to have to jam the jamb so he fits and convert Walter into a portable unit so that he can connect to the kitchen faucet the way Dorothy the Dishwasher* does when she’s at work. Dorothy lives in that same closet now. I don’t think she’ll mind a new roommate. *There’s a cute story about bringing Dorothy home that I’ll share later.